Twelve months after James Bradford Jr.’s, initial diagnosis of melanoma, his tumor had spread to other organs. While the 75-year-old Nashville banking magnate died 13 days later, his legacy lives on. Early on in his disease course, Bradford’s cancer tissue had been tested for the most common melanoma-associated mutations. These mutations – in genes called BRAF and KIT – respond to targeted therapies called BRAF and KIT inhibitors, respectively. However, his tumor was negative for these mutations, which left only standard chemotherapy or immunotherapy for treatment. 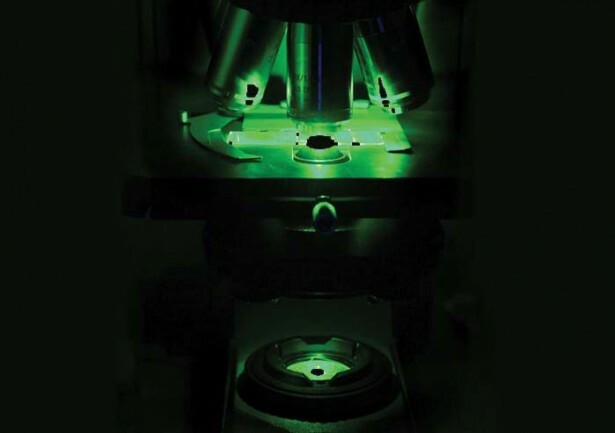 In hopes of helping future patients, Vanderbilt-Ingram Cancer Center investigators – led by William Pao, M.D., Ph.D., Jeffrey Sosman, M.D., and Zhongming Zhao, Ph.D. – were determined to see if Bradford’s tumor could have been targeted with other existing or emerging targeted therapies. To identify all of the mutations that could potentially make the cancer grow, the researchers performed “whole genome sequencing” on Bradford’s tumor and identified a different mutation in the BRAF gene, called BRAF L597. In lab experiments, they found that a new class of drugs called MEK inhibitors could shut down the abnormal cell signaling induced by the BRAF L597 mutation. Additionally, they found that a patient with metastatic melanoma harboring a similar mutation had a dramatic response to treatment with an experimental MEK inhibitor. Identification of this new mutation has had a relatively swift and striking clinical impact – just the kind of thing cancer “gene hunters” hope for when setting out to uncover new cancer-associated gene variants. Cancer is often referred to as a “genetic disease.” This means that the disease results from a dysfunctional or defective gene or set of genes. It does not mean that all cancers are hereditary or passed down through a family. In fact, only about 5 percent to 10 percent of cancers are truly hereditary – meaning that a mutation that predisposes one to cancer is passed from parent to child. “We classify cancer into two groups,” said Wei Zheng, M.D., Ph.D., MPH, professor of Medicine, chief of the Division of Epidemiology and director of the Vanderbilt Epidemiology Center. Most cancer-causing mutations occur after birth, explained Pao, Cornelius Abernathy Craig Chair and director of the Division of Hematology and Oncology and of Personalized Cancer Medicine at Vanderbilt. “These mutations can lead to activation of signaling pathways or loss of cell control pathways,” molecular disruptions that can cause cells to escape the normal processes that control their growth, Pao noted. Researchers have been searching for mutations and genetic variations linked to both hereditary and sporadic cancers for decades. These variations are often mutations – mistakes or changes – in the sequence of a cell’s DNA. Mutations can result from environmental sources such as toxins or radiation exposure, or can be the result of simple errors that occur during normal cellular processes. Mutations originating in the germ cells (sperm and egg) are called “germline mutations” and are passed from parent to child. Some of these mutations can predispose an individual to hereditary cancers. Mutations originating in all other body cells are called “somatic” mutations and typically occur after birth. Another type of genetic variation, called “single nucleotide polymorphisms,” or SNPs, differs from germline and somatic mutationsprimarily in how common it is: mutations are rare (usually less than 1 percent of the population) whereas SNPs generally are present in at least 1 percent of the population (and often much higher). The search for disease-linked variations includes germline mutations, somatic mutations, and SNPs. Breast cancer provides an important example of the ongoing search for cancer genes. When researchers began the quest to identify genetic links to breast cancer, which has an estimated heritability of around 25 percent, they initially focused on families in which several women (and/or men) developed breast cancer. First, researchers identified approximate locations in the genome that were associated with the disease using a method known as “linkage analysis.” Then, by finer and finer mapping of the DNA sequence in those regions, were able to zero in on mutations in the BRCA1 and BRCA2 genes in the mid-1990s. Hundreds of mutations in these genes have now been identified, some of which are more strongly associated with cancer than others. The identifications of the BRCA mutations are among the most important discoveries in the field of cancer genetics. The findings have led to screening tests that have helped women determine their risk of such cancers and – if positive for one of the mutations – to take preventive action (such as prophylactic mastectomy and/or hysterectomy) to reduce their risk. However, only a small fraction (about 5 percent) of breast cancers are attributable to mutations in these genes. That means that many more mutations that contribute to breast cancer remain to be found. And the remaining genetic factors are unlikely to be as easy to find as the BRCA mutations. “Initially, there was a simple view that you could approach study of a disease like breast cancer as if it were Mendelian – caused by one or a very few genes of large effect,” said Jeffrey Smith, M.D., Ph.D., associate professor of Medicine and Cancer Biology. But after attempts to identify more BRCA-like gene variants failed, the search strategy changed, Smith noted. Over the past decade, researchers began turning to broader methods – called GWASs or “genome-wide association studies” – to identify common variants in large populations of individuals without any specific family history of breast cancer. These efforts have been successful in identifying many new variants, said Zheng, whose research group has identified several variants in large epidemiological studies. One problem with the GWAS studies, however, is that they’ve mostly been conducted in European populations, Zheng said. Looking at different ethnic groups is important, he said, because the genetic structures can be different enough that variants identified in one population do not explain risk in other populations. So to get a more complete picture of cancer risk variants, he and colleagues have focused their research on non-European populations. Zheng, Xiao-Ou Shu, M.D., Ph.D., MPH, and colleagues at Vanderbilt-Ingram and the Shanghai Cancer Institute have been following a large group of women in Shanghai to identify genetic and environmental factors associated with cancer risk. They also have organized a large consortium of East Asian women from multiple countries, including the United States, to study genetic factors for breast cancer. From these studies, they’ve published a series of papers identifying new genetic loci and SNPs linked to breast cancer risk. They’ve also confirmed some of these variants in other ethnic (European and African) groups. This tactic has led to the identification of variants that were initially missed in European populations. “We identified some common genetic variants in non-European populations and later did a detailed, focused study and actually found risk variants in the same regions in Europeans. So they were there, we just couldn’t find them easily in studies conducted in European populations. 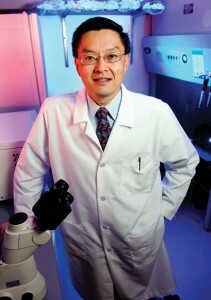 This has happened multiple times for breast and for colon cancers,” Zheng said. Recently, Smith and William Dupont, Ph.D., professor of Biostatistics and Preventive Medicine, led a study to identify SNPs associated with breast cancer in four independent breast cancer study populations – including two Vanderbilt patient populations. One important population is the Nashville Breast Cohort – a study, ongoing since 1954, of 17,030 Nashville-area women diagnosed initially with benign breast masses. Archived tissue samples were available on 8,395 of these patients, 903 of whom have later developed breast cancer. Because the original tissue samples of the benign breast mass – representing the “germline” genome – had been preserved, researchers can compare that genome to the genomes of the breast cancer samples to identify genetic changes that might be contributing to the disease. The study also offers to identify potential mutations that may have occurred in the benign breast lesions themselves, many years prior to the diagnosis of cancer. BioVU, Vanderbilt’s repository of patient DNA samples linked to de-identified medical records, was another crucial resource. From this population, the researchers found 1,172 breast cancer cases and could compare those DNA samples to the DNA of patients with no evidence of breast cancer. Smith and colleagues were able to validate a set of previously identified breast cancer risk variants. Importantly, they identified two previously unreported variants – on chromosome 10 and chromosome 16 – that were associated with breast cancer risk in three of the four study populations. Because most common variants each have a relatively small effect on disease risk individually (compared to something like a BRCA mutation), the hope is to identify “sets” of variants that could more reliably predict cancer risk, Smith said. Such sets of gene variants could then help researchers continue to improve breast cancer prediction models to help identify women at high risk of breast cancer who may benefit from enhanced screening and prevention strategies. “If you had a comprehensive set of all of these (variants), that would possibly hold some useful predictive power,” said Smith. Despite the important role of genetic variants in cancer, other factors are also at play – specifically environmental factors. A host of environmental factors have been linked to cancer risk: cigarette smoking, sun exposure, exposure to industrial chemicals, various dietary factors, etc. But as Vanderbilt-Ingram researchers are finding out, the same environmental factor – for example, a particular carcinogen (cancer-causing compound in the environment) – may impact individuals differently based on their genetic makeup. Zheng and colleagues in the Vanderbilt Epidemiology Center are investigating these links between genes and environment and how individuals may differ in how they respond to carcinogens. The body also has other enzymes to “detoxify” carcinogens, chemically modifying them so that they can be excreted from the body. Using this approach, Zheng and colleagues recently studied genetic factors involved in the metabolism of heterocyclic amines – carcinogenic chemicals found in well-done or burnt meat – and their risk of colon polyps (which can progress to colon cancer). Their findings suggest that, with this genetic information, it may be possible to classify people into risk categories: those with genetic profiles conferring higher risk of developing colorectal polyps when they have a high intake of well-done meat (and thus a high heterocyclic amine exposure) and those with a lower risk genetic profile. Zheng’s group has identified similar differences in the metabolism of isothiocyanates (chemicals found in cruciferous vegetables like cauliflower and broccoli that have protective effects against cancer). Gene-environment interactions will play an important role in advancing personalized cancer medicine, noted William Blot, Ph.D., a professor of Medicine and associate director of Cancer Prevention, Control and Population-Based Research. “The hope is that increased knowledge of such gene-environment interactions may lead to the development of personalized prevention strategies, with cancer prediction models tailored to the individual,” he said. Ultimately, the goal of cancer genetics – in addition to improving prediction and prevention of cancer – is to improve cancer treatment and reduce cancer deaths. But the mounting knowledge about cancer genetics is revealing a multitude of gene variants involved in cancer – and revealing that each patient’s cancer is unique. 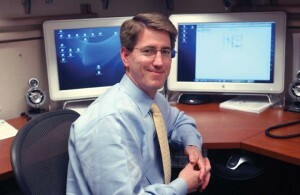 Providing individualized cancer care is a priority at Vanderbilt-Ingram. In 2010, the center launched the Personalized Cancer Medicine Initiative (PCMI) to realize that goal for several types of cancer, initially melanoma and non-small cell lung cancer but now also colorectal cancers and breast cancers. The initiative, directed by Pao, aims to genotype tumors and match the appropriate therapy to the genetic changes, or mutations, that drive the cancer’s growth. Pao believes that advances in genomics technology will help achieve this goal. Pao also notes that genetics is becoming so important that cancers are now beginning to be identified less with their organ of origin than their molecular makeup. This is true in the case of BRAF-associated cancers, like melanoma. In recent years, similar BRAF mutations have been identified in about 10 percent of colorectal cancers. The genetic testing of colorectal cancers in the PCMI includes BRAF mutations. Colon cancers with the BRAF mutation do not seem to respond as well to the targeted therapies effective in melanoma, but as more drugs are developed and more genetic drivers of cancer are identified, more specific, individualized cancer treatment is possible. “Based upon promising trends, we believe a genotype-driven approach is much better than our current standards. If you select the right mutation, and you give the right drug, you can already double the survival of patients with certain metastatic lung cancers or melanomas,” Pao said. Another recent initiative, My Cancer Genome, an online database of cancer-associated genes and mutations linked to information about recommended therapies, can be a tool to help physicians select the appropriate therapies. It can be found at mycancergenome.org. “It will be a challenge, but hopefully we can get to better, more individualized, treatments for our patients,” Pao said.